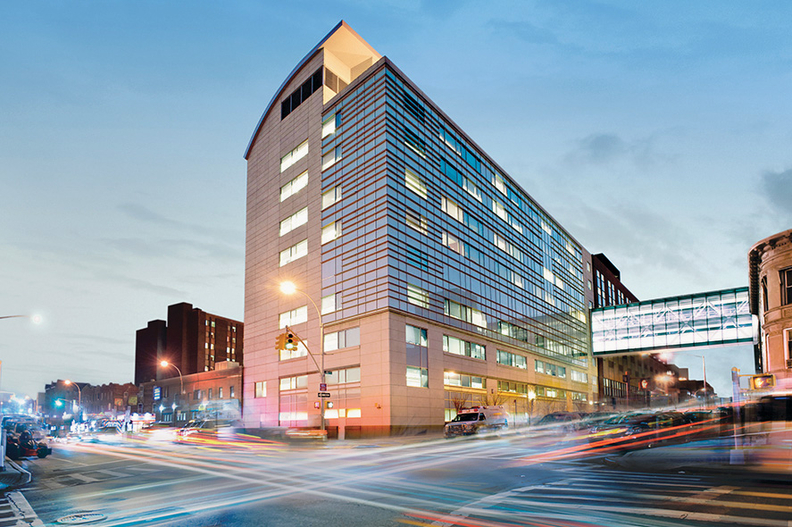 Maimonides Medical Center in Brooklyn is in the process of laying off "up to 200" employees as part of a cost-cutting move, the hospital said in a statement Wednesday. The layoff includes about 100 members of 1199SEIU as well as members of the New York State Nurses Association. The dismissals account for about 3% of the hospital's staff of 6,500 and will be made "in areas that will have the least impact on clinical care," according to Maimonides. The union 1199 is planning a demonstration outside the hospital this afternoon. "Patient care is sure to suffer with this downsizing, given the wide scope of job categories affected," 1199 said in its media advisory for the protest. The 1199 positions affected include phlebotomists, radiology technicians, nurses and clerical staff, according to a union spokesman. Although 1199 called the firings the "largest layoff in Maimonides history," a spokeswoman for the hospital said there have been larger. "Maimonides—like hospitals across the region and country—is working through the reality of our industry's economics: flat or declining government reimbursement rates coupled with rising costs," Maimonides explained in its statement Wednesday. The layoffs will help "produce a fiscally sound budget for 2018." Maimonides lost $14.2 million on operations in the first three quarters of this year, largely due to a larger-than-anticipated deficit at its M2 Medical Community Practice, according to recently released financial statements. The hospital said in addition to the layoffs it is working to grow its physician network, increase patient volume and find cost efficiencies. "Maimonides to lay off up to 200 employees" originally appeared in Crain's New York Business.